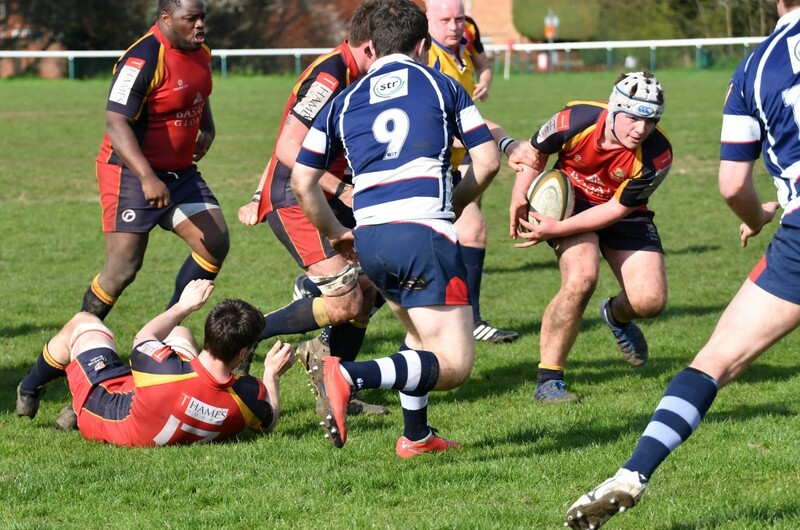 With the Fowlers Wells pitches still sodden under foot but basking in glorious sunshine, Chobham welcomed high flying Havant up the A3 for their final league game of the season. Buoyed from last weeks emphatic win at Totts, the hosts were looking forward to the game despite the form book and league positions suggesting they might be in for a long afternoon. The home side started superbly. Straight away they were challenging their visitors with pacey, accurate and cutting attack, and it wasn’t long until that man Josh Devitt on the left wing found his way across the line for the first 5 pointer of the game, converted by dead eyed Ollie Turner and Chobham had taken an early 7-0 lead. In all honesty the Havant side, along with much of the home support appeared surprised by the intensity of the start from Chobham but the Hampshire side hit straight back with a great deal of pressure of their own. They quickly earned themselves a couple of kickable penalties and dragged the gap back to just one point at 7-6. 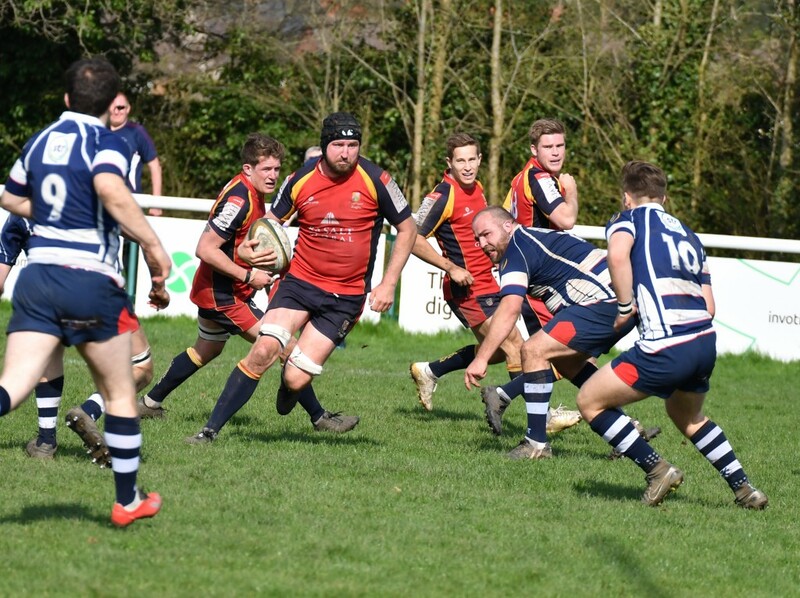 Chobham however continued to attack well an after a multi phased, flowing and exhilarating attack, backs and forwards combined before player coach Ryan Gregory crashed over in the left hand corner to extend the home side’s lead. The sides then exchanged penalties before the Havant wing made his way over the line with almost the last play of the first period to edge Chobham back a little. The Surrey men however still went in to half time 17-16 to the good. The messages at half time were of belief and confidence, and that Chobham had the beating of their opposition if they believed that this was actually the case. The second period could not have started worse, after an excellent kick off from Josh Clark and a great chase from lock Dom Sammut, Havant gathered the loose ball and were clinical enough to finish from distance. It wasn’t long until they secured their third try either. The homeside, having looked in control and comfortable had begun to appear flustered and struggling to regain a foot hold, with the score in the blink of a eye moving to 17 – 30. At times this season Chobham would have rolled over in this position but not today, not in front of such a bumper home crowd and their shouts bellowing in their ears. 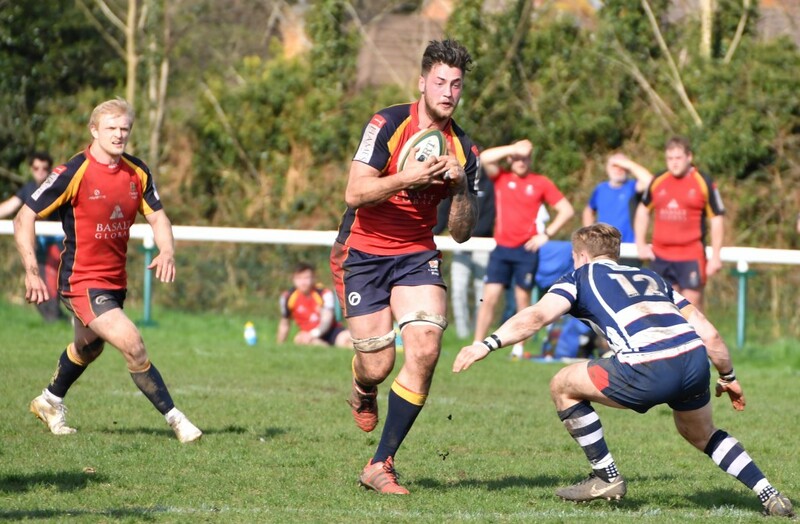 Even when Havant were able to secure their fourth and final try to extend their lead to 17 – 35, Chobham responded with all that they had, desperate to claw themselves back in to the game and in search of the 2 bonus points that would guarantee their league survival once and for all. With this returning drive and desire it wasn’t long before Devitt dotted down for his second and Chobham’s 3rd, converted again by Turner the scores were now 24 – 35 and the hosts were very much in the ascendancy. After a well executed lineout and maul from 20 metres out it was youngster Charlie Head who emerged as the scorer of the all important 4th try for his first for Chobham 1st XV. One more conversion from Turner and Chobham were within 4 points, 31 -35 with just minutes to play. 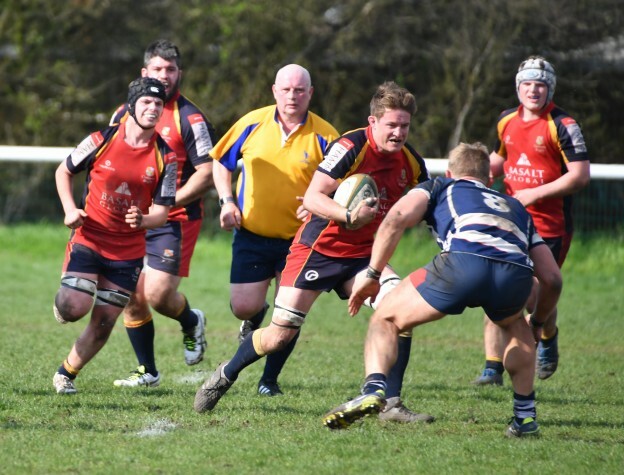 Unfortunately it was Havant who had the last say from the tee to extend their lead again to seven points, at the final whistle the score ended at 31 – 38. Chobham deserved at least the 2 league points that they secured and for long periods of the game looked the most likely to win the game. However, winning is a habit and Havant have been flying for the majority of this season. Chobham haven’t had that habit at any stage of the year and that has seen them lose far too many of these nail biters. 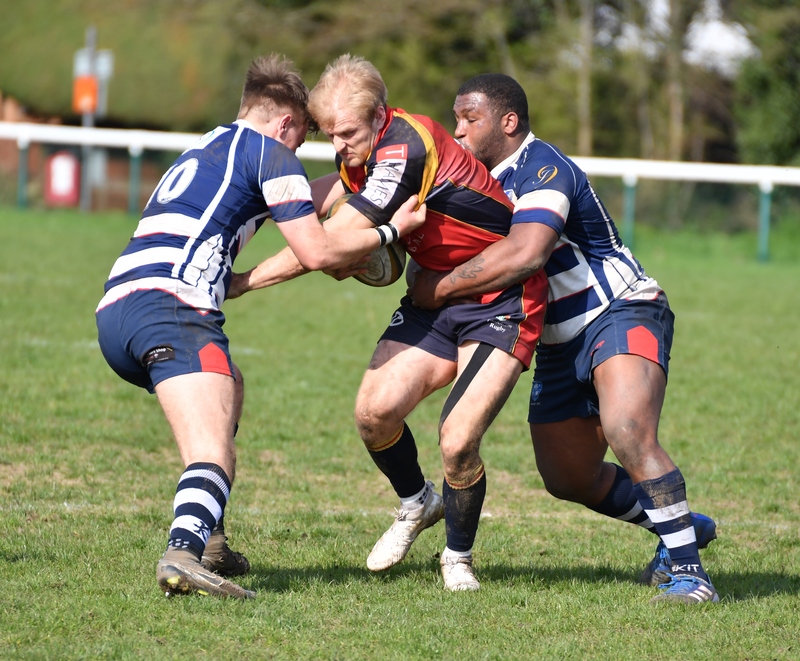 The Nandos Woking man of the match award went to flanker Chris Browne on his return to the side as he proved a thorn in the side of the opposition all afternoon.